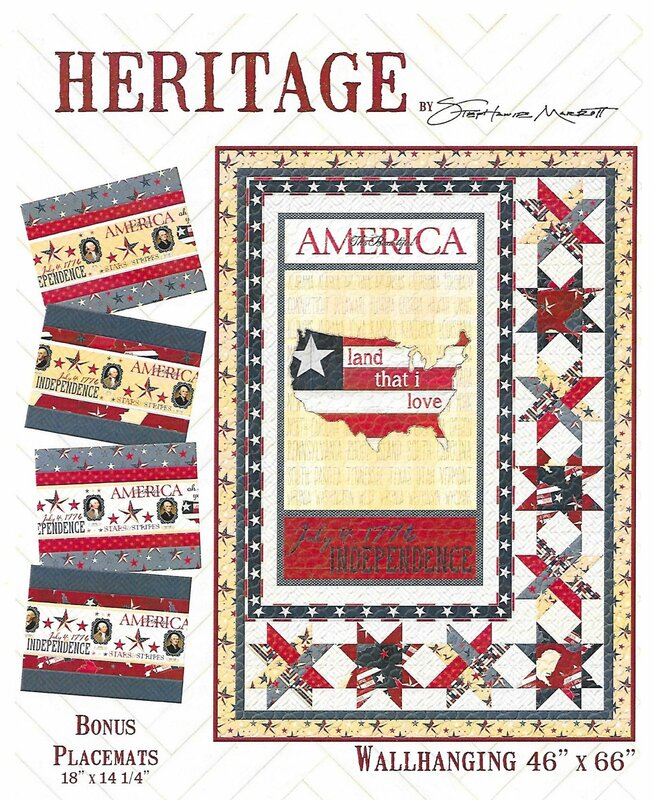 "The America, land that I love" panel is the focus point of this 46" x 66" lap sized quilt. to complete the top and binding. **There is a bonus patterns for placemats that finish to 18" x 14"